This is an air combat simulation and your goal is to chase down 3 spy jets that stole secret information from the AJ Command Center. You are given limited reousrces so use them wisely. Only your fuel is replenished every round. If you want to play Air Combat Training games online you have come to the right place! GamesLoon adds new Air Combat Training games every week. This is your game portal where you can find the biggest collection of free Air Combat Training games online. 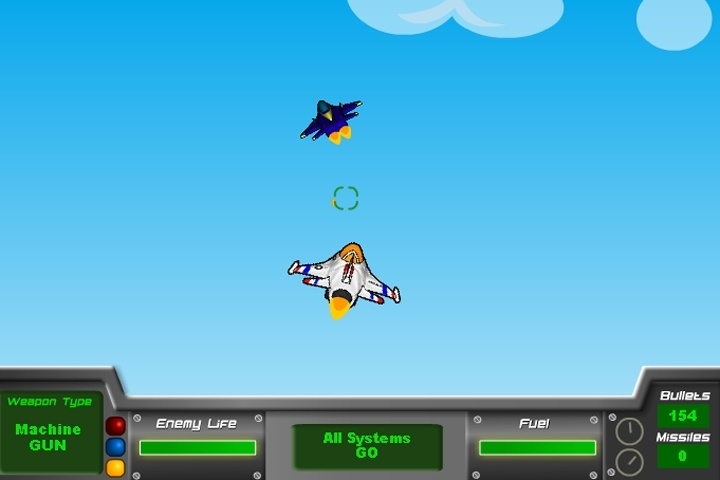 Do not forget to rate our Air Combat Training free online games while playing!